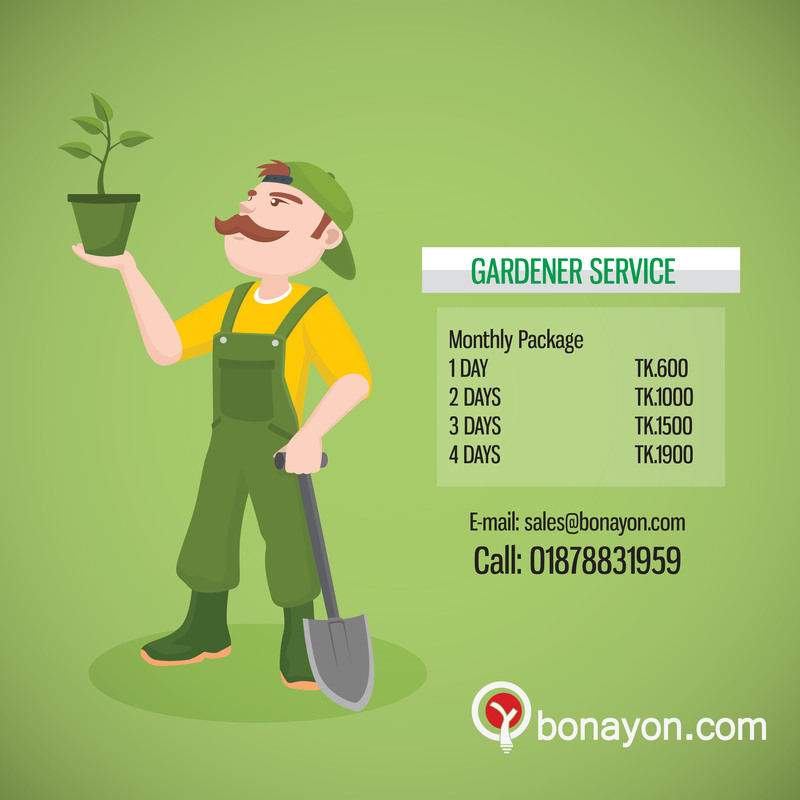 Services | On-demand Gardener Supply | Buy online Bonsai, Tree, Seed, Gardening Accessories & Nursery Items From Bonayon.com | Dhaka, Bangladesh. At Bonayon, in addition to traditional activities of supplying plants and trees, design and installation we offer other services which are customized to needs of our customers. Some of these services are mentioned below, but we are open to assist our customers with any kind of assistance or services they might require. We're in business to spread the joys and rewards of gardening, and our mission hinges on your success. Customer satisfaction is the heart of Bonayon and the biggest source of pride for our employee-owners. If you have any questions about our guarantee, policies, or website navigation, please explore contact page or call us now!